The decline represents a 41-percent fall in profit off the back of lower commodities prices, though Teck says that 2018 was a very good year. Canada’s Teck Resources (TSX:TECK.A,TSX:TECK.B,NYSE:TECK) has reported a significant drop in fourth-quarter profits compared to 2017, with the diversified company pointing to falls in copper, zinc and oil prices through 2018. In its annual and fourth quarter results for 2018 released on Wednesday (February 13), the company said that profit attributable to shareholders was C$433 million in Q4 — down from C$740 million in Q4 2017. The decline represents a 41-percent fall in profit off the back of lower commodity prices, though Teck said that overall 2018 was “another very good year” for the company in regards to overall earnings and project development. The standout drag on the company’s bottom line were base metals and oil. “Fourth quarter average copper and zinc prices declined by 9 percent and 19 percent, respectively, compared with the same period a year ago. The decline in metal prices was even more significant when comparing closing prices between December 31, 2018 and 2017,” the company said in a press release. Comparing those prices, copper finished 2018 16.9 percent below its 2017 end, while zinc was down 26.6 percent. The company also highlighted a “significant decline” in crude oil prices in Q4 2018 as being another cause for the fall in profit, however a steeper fall was offset by higher prices for steelmaking coal, which it reported it produced 26.2 million tonnes of in 2018. Commodity prices have been a headache for miners for more than just Q4 — Teck had reported prices were chewing into its bottom line in Q3 as well. In today’s report, the company highlighted progress in major project developments over the year and record annual revenues and earnings before interest, tax, depreciation and amortization (EBITDA) numbers as reason to celebrate anyway. News around the Quebrada Blanca phase 2 (QB2) project in Chile, designed to revitalize the aging operation, was mentioned by Don Lindsay, president and CEO of Teck, as a highlight of the year. 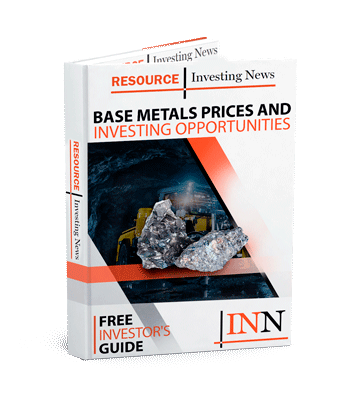 In December, Teck reported that it had agreed to carve off a 30-percent slice of the QB2 project, and sold it to Sumitomo Metal Mining (TSE:5713,OTC Pink:SMMYY) in a US$1.2 billion transaction. Looking at production numbers for the year, Teck’s copper portfolio produced 73,000 tonnes of the red metal in the fourth quarter, for a 2018 total of 294,000 tonnes — a sliver above 2017’s total of 287,000 tonnes. Across the different assets, Teck reported Highland Valley (Canada) and Carmen de Andacollo (Chile) copper output was down in Q4 due to lower grades, while at Antamina (Peru) output was up because of higher grades. The rapidly depleting Quebrada Blanca operation contributed 6,000 tonnes of copper in Q4 — though the QB2 development envisages 316,000 tonnes of copper per year for the first five years of operation when fully ramped-up. On the TSX, Teck’s share price was trading down 5 around percent — Teck.A shares were down 5.42 percent to C$28.62, while Teck.B shares were down 5.31 percent to C$28.55. 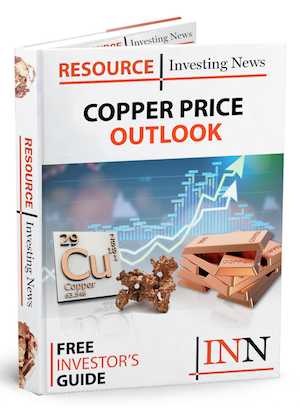 On the LME in 2019, copper has so far hopped back above US$6,000 a tonne (US$2.70 a pound), and as of Wednesday was trading at US$6,100 a tonne (US$2.76 a pound).